Tran Minh Thuan, an 18-year-old student in Hanoi has won scholarships to 10 universities in the US. 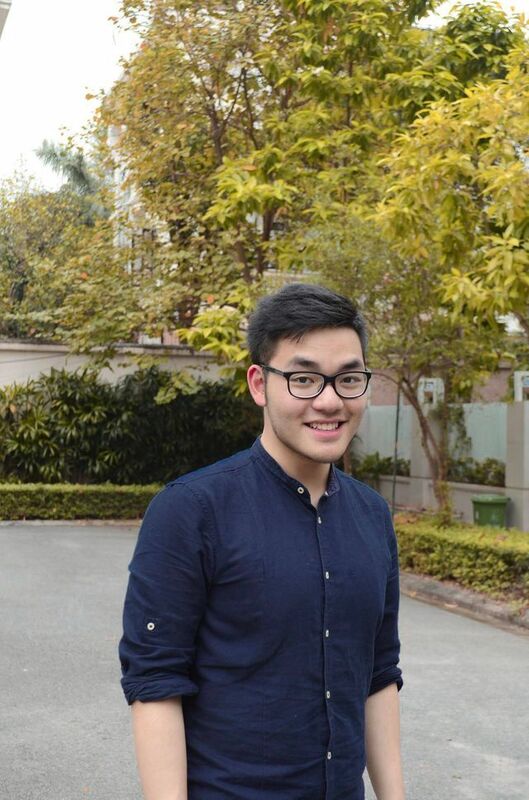 Before starting high school, Thuan attended a summer camp in the US and has wanted to study overseas ever since. Last year, he developed a strong interest in environmental issues, especially since air pollution in Hanoi has worsened. He was determined to study both the environment and economy to understand how they impact each other and the situation in South East Asia. "A cousin of mine in the central province of Binh Dinh died partly because he drank polluted water which was contaminated with lead and mercury for too long. Vietnam's water filtration systems are also lacking," he said. He has won two international maths contests in 10th and 11th grades, became the resident of the Maths Club at Concordia International School in Hanoi and co-founder of the Concordia International Research Conference. Thuan also plays the ukulele at his school's choir and sings at the Binh Minh Jazz Club during the weekends. He is the head of the Department of Communication at SANSE, a non-government organisation based in Lao Cai Province. They often bring teas from Ban Lien Commune to sell in Hanoi and used the profits to help disadvantaged pupils in Ban Lien attend high school. Phan Thuy Phuong, Thuan's mother, said he had shown a passion for arts since very early. "He's an empathetic person. In order to get into his dream universities, he has worked very hard in the past years," she said. Thuan has won scholarships to several universities in the US such as the Stanford, Princeton, Dartmouth, and Davidson College.